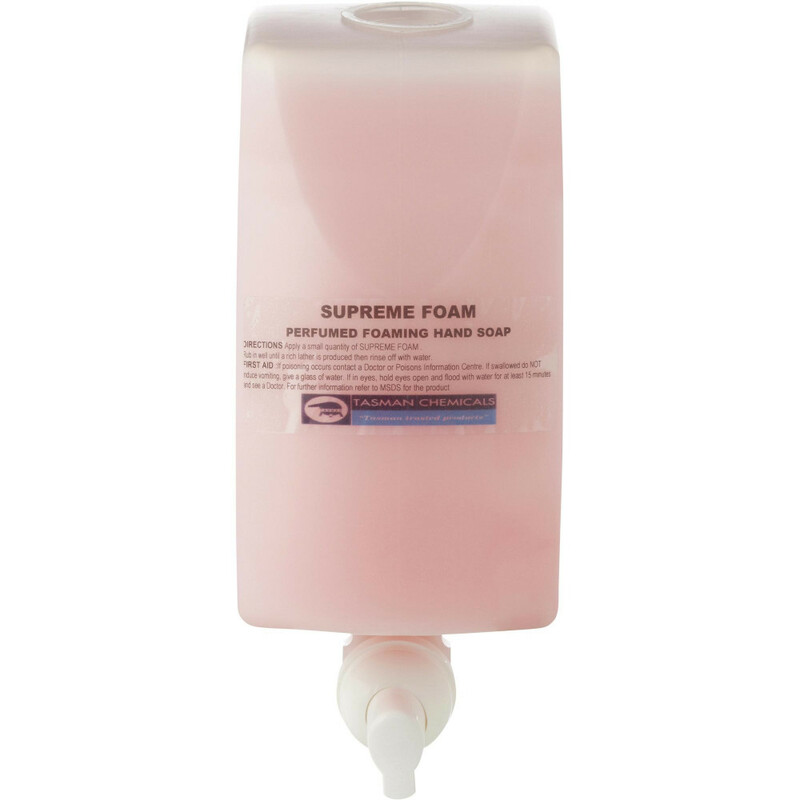 Supreme Plus has been designed as an all over foam soap specifically formulated as a hand cleaner, body wash & shampoo. Supreme Plus is suitable for all amenities such as toilets, change rooms and showers, as well as retail outlets such as hair dressing salons. Contains mild detergents with unique moisturising and conditioning agents. Pleasant cologne fragrance.